Relocation Expenses Lawyer San Francisco, CA | Bracamontes & Vlasak, P.C. In cities with rent ordinances, such as San Francisco, Berkeley and Oakland, tenants may be entitled to relocation expenses in certain no-fault evictions. For example, where a tenant is forced to move out because of an owner move-in eviction (“OMI eviction”), because the landlord is going to perform substantial repairs, or because the unit is being “demolished” or removed from housing use, the tenant may be entitled to relocation expenses. Below are some examples. Please consult us with your particular situation for legal advice. The San Francisco Rent Stabilization and Arbitration Ordinance (“San Francisco Rent Ordinance”) provides for relocation assistance for qualified tenants displaced through no fault of their own. The amount of statutory relocation afforded by law changes with the consumer price index. For no-fault eviction notices served between March 1, 2017 and February 28, 2018, for example, eligible San Francisco tenants are entitled to relocation expenses of $6,281 each, up to a maximum of $18,843 per unit. Tenants who are 60 years of age or older, disabled tenants, or households with minor child(ren) are entitled to an additional $4,188 each. Ellis Act relocation amounts differ slightly. Relocation payments for temporary displacement of tenants for less than 20 days per Civil Code Section 1947.9 for notices served between March 1, 2017 and February 28, 2018 is $341.00 per day plus actual moving expenses. More information can be found on the San Francisco Rent Board’s website at www.sfrb.org or you can contact a San Francisco tenant’s lawyer at Bracamontes & Vlasak, P.C., today for a free consultation. Remember, just because you are served an “eviction notice” does not mean you have to give up your right to stay or return to your rent-controlled unit. The Berkeley Rent Stabilization and Eviction for Good Cause Ordinance provides substantial protections and assistance to tenants. For example, in Berkeley (in 2017) tenants in rent-controlled units subject to owner move-in evictions are entitled to $15,000 per tenant household when one tenant has resided there for one year or more, plus an additional $5,000 in relocation assistance to tenant households that qualify as low income, or include disabled, elderly, minor children, or tenants who have leaseholds going back to January 1, 1999. Tenants who have been living in their rent-controlled unit for five years or more who are 60 years of age or older or who are disabled are afforded additional protections against owner move-in evictions in Berkeley. Other statutory assistance amounts apply to other no-fault evictions in Berkeley. You should contact an experienced East Bay tenant’s lawyer to understand your rights under your local rent ordinance. Oakland’s Just Cause for Eviction Ordinance (Measure EE) and Tenant Protection Ordinance (“TPO”) provide Oakland tenants with protections against unlawful eviction and landlord harassment. Under Measure EE (Oakland Municipal Code 8.22.450), qualified tenants displaced by Ellis Act evictions in which the landlord seeks to withdraw the unit from the rental market are entitled (as of 2017) to $6,500 per unit for studios and one-bedroom apartments, $8,000 per unit for two-bedroom apartments, and $9,875 per unit with units with three or more bedrooms. Oakland’s Code Enforcement Relocation Ordinance (Oakland Municipal Code Chapter 15.60) requires landlords to pay qualified tenants who are forced to move because of the City’s enforcement of housing or building codes. If the displacement is less than 60 days, the landlord must pay the tenant’s actual and reasonable moving expenses and the cost of housing accommodations incurred because of the temporary move. If the displacement is permanent (greater than 60 days), the landlord is required to pay the tenant at least 10 days before the tenant’s expected move date payment equal to twice the HUD Fair Market Rent figure for a unit of comparable size. For example, the HUD fair market rent for a one bedroom apartment in 2017 is $1,132, so the relocation payment due to the tenant for a one bedroom apartment in Oakland red-tagged by the City due to housing or building code violations would be $2,464. For a 5 bedroom unit, relocation in 2017 would be $5,474. 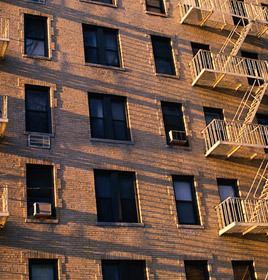 Displaced tenants also retain their right to move back into the unit or a comparable unit in the building when repairs are completed. Relocation allowances under local Bay Area rent ordinances and municipal codes differ depending on (1) the city, (2) the reason for the displacement, and (2) the tenant(s) being displaced. Always consult an experienced local tenant’s attorney before making decisions that affect you and your family’s housing. Criteria for entitlement to relocation expenses under the San Francisco, Berkeley or Oakland rent ordinances can be complicated, and you should always consult an experienced Bay Area tenant’s attorney to ensure that you understand the law and your rights. Each city has different requirements for relocation payments and different amounts available for tenants. If you have been served notice of a no-fault eviction in a Bay Area rent-controlled apartment or home and wish to enforce your rights to statutory relocation, defend the eviction, or potentially negotiate a buyout agreement, call a SF tenant’s lawyer at Bracamontes & Vlasak, P.C., today for a free consultation. You can also contact us by telephone at 415.835.6777.